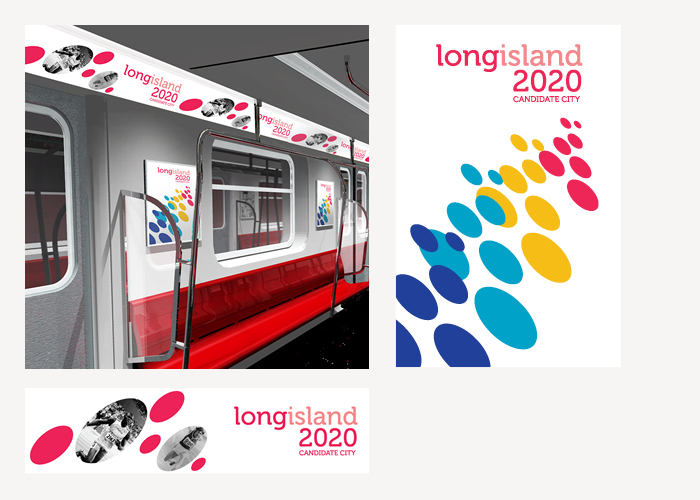 This Visual Communications project was designed to build support for a 2020 Olympics bid among Long Island residents. 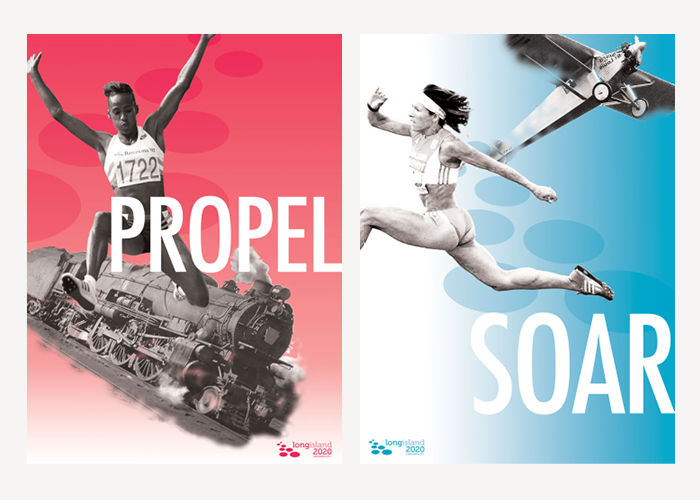 The campaign had to communicate a sense of place and a spirit of competition through the use of a strong visual system consisting of words, typography, color palette, images and symbol. My campaign addresses the unique milestones that took place in Long Island through the use of historical black and white images, and pairs them with a palette of bright colors to bring that sense of achievement to present day. 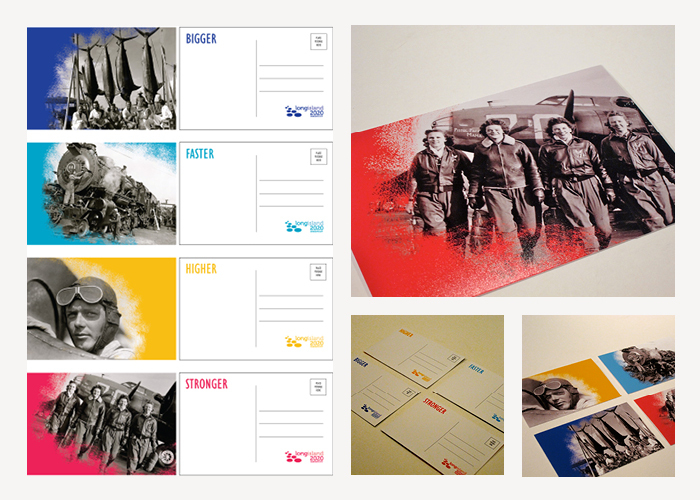 The final pieces were four 4x6 postcards, two 20x30 posters and concepts for environmental graphics.